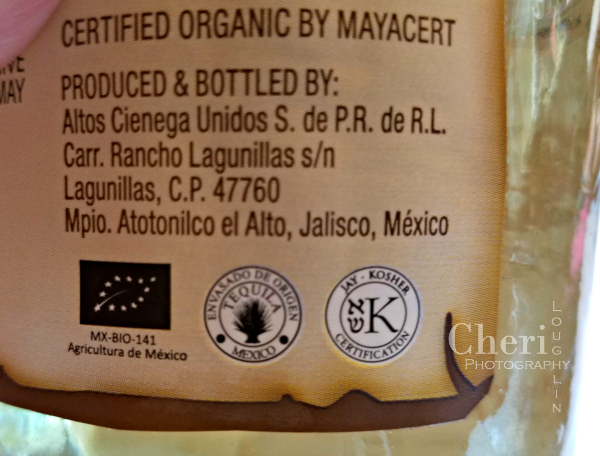 While reading through information about El Consuelo tequila reposado the term “USDA certified organic” pops up. 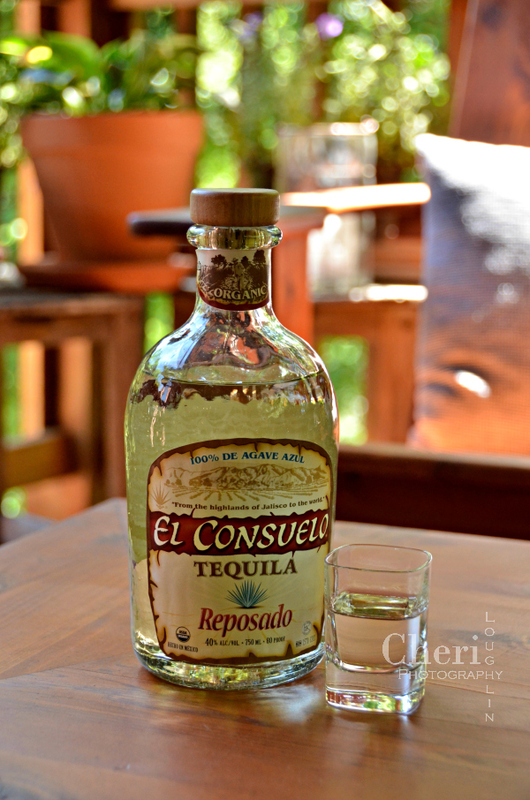 El Consuelo tequila is also kosher and gluten free. We see and hear these terms frequently, but what exactly do they mean? In addition, produce (in this case agave plant) cannot be grown on soil that has been treated with prohibited substances within the last three years before harvest. With regard to processing, foods (in this case alcohol) must not include artificial preservatives, coloring, or flavors with a few exceptions. Basically, alcohol must comply with the same strict standards as organic foods. The Greatist wrote an informative article specifically about organic alcohol. What about kosher? Kosher means something is clean under Jewish law. According to an article written by the Alcohol Professor, kosher spirits are those that meet the dietary requirements according to Jewish law and the facility or distillery where the alcohol is made has been inspected and certified by a rabbi. This list of kosher free spirits is a helpful guide to get started. El Consuelo tequila is absent from that list, but it does in fact carry the kosher seal on the back of the bottle certifying that it is kosher. According to the dictionary, gluten is a mixture of two proteins present in cereal grains, especially wheat. Gluten sensitivity is the body’s inability to break down the gluten protein during digestion. Some experts believe gluten is removed from alcohol made from certain grains during the distillation process. I am not a scientist, so I will leave that debate to the professionals. Alcohol made from ingredients such as potatoes (vodka), agave (tequila), or cane sugar (rum) does not contain gluten, thus they are gluten free. 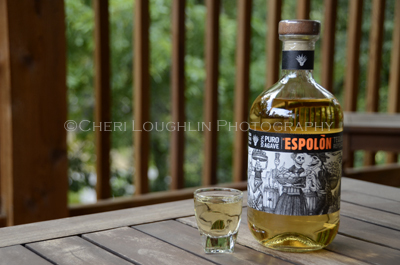 Traditionally made tequila made with 100% agave is naturally gluten free. Mixto tequila is only required to have 51% agave with other sugars making up the rest of the ingredients. 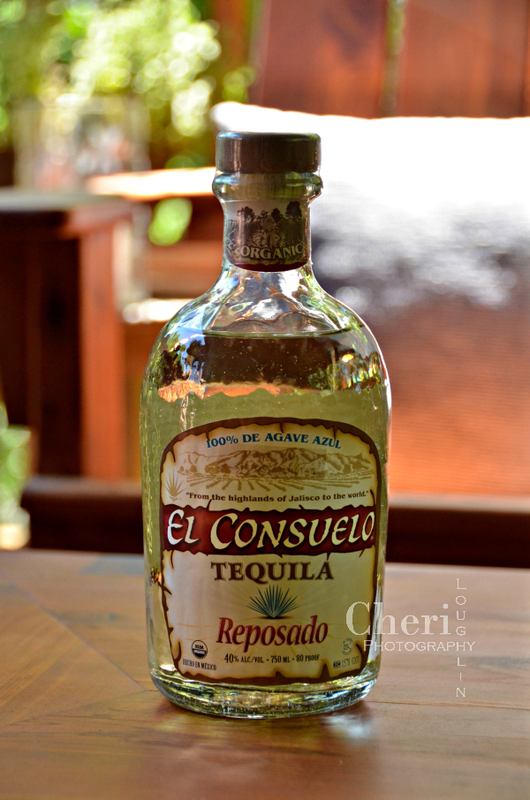 So it is best to stick with 100% agave tequila (like El Consuelo) to ensure your tequila is gluten free. Now that the technical terms are out of the way, let’s talk tequila! El Consuelo Tequila provided by brand representatives. All photos, comments and opinions are my own unless otherwise stated. First Impressions: The bottle glass caught my eye first. It has old world charm to it rather than a modern slick feel. It has a nice sturdy wood top with real cork rather than screw top. That again adds appeal to the bottle. Before opening the bottle I tipped it on its side for a photo. The cork didn’t completely seal the bottle, so it leaked. This was probably a fluke, one time kind of thing. But it is just a reminder not to store spirits on their side just in case something happens to leak. 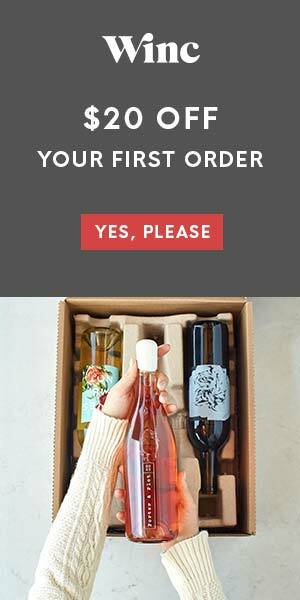 Save side storage for wine. Color: It appears to be clear in the glass, but a little light gold in the bottle. Spirits usually look a little different inside the bottle, though. This could be reflection from the label or something within the glass itself. Aroma: Delicate agave comes through first with a bit of clean earthiness. The aroma is also faintly sweet with honeysuckle notes. Tasted Neat: There is very little burn to this tequila. It contains some sweetness and vanilla notes. Tasted with Ice: A little bit of ice melt in the glass brings out the smooth, mellow nature of this tequila. It is extremely warming on the throat with sweet milkweed-like grassiness. The spirit is creamy and smooth in its lingering finish. Overall Impressions: The breakdown of how El Consuelo tequila is made is a story of great care and thought to the environment and what exactly goes into the bottle. I highly recommend reading through the process to get a greater appreciation of this tequila. The price falls within the same price range of other popular premium tequilas. I loved the reposado expression from bottle to glass. It is excellent sipping tequila whether neat or on the rocks. The El Consuelo Facebook page shares many kosher food recipes to pair with the tequila, but hardly any cocktail recipes. 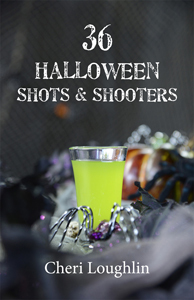 Cocktail recipes are also absent from their website. That won’t stop us from enjoying a cocktail, now will it?! Margaritas are a summertime favorite. This is my take on a tropical, send me to the beach kind of margarita. 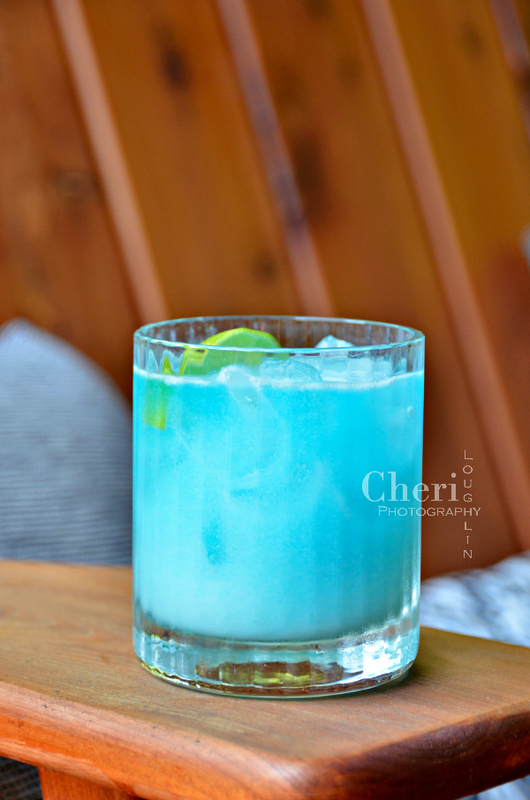 The tequila and blue curacao mixture is the deep blue sea, while the cream of coconut and lime mixture represents the white caps on waves. 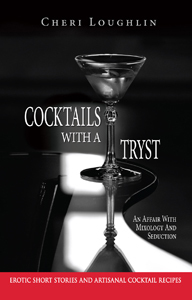 The cocktail is well-balanced with hearty tequila flavor. Place tequila and blue curacao into a rocks glass filled with ice. Set aside. Place cream of coconut and lime juice into a cocktail shaker with ice. Shake to integrate ingredients. Strain into the rocks glass over the tequila mixture. Garnish with a lime slice. Cheri Loughlin is the Omaha writer and photographer behind www.intoxicologist.net. Email Cheri with comments and questions at str8upcocktails at gmail.com.